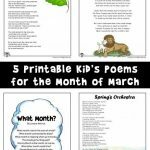 Here’s the latest addition to our absolutely wonderful series of printable kid’s poems! 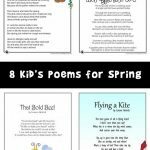 At this point we have hundreds of poems for nearly every season, holiday and month. 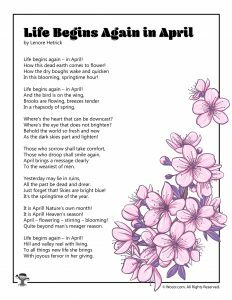 April is a GREAT month for poems. 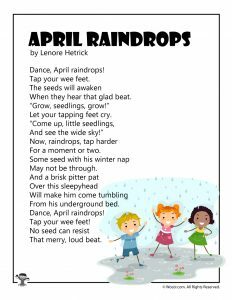 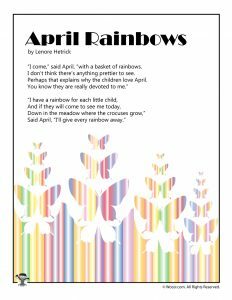 With spring finally hitting us, there’s plenty of things to laud in poetry, like warmer weather, flowers and gardens, and of course, April rain and rainbows! 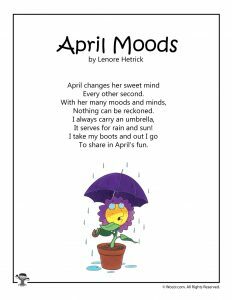 These kid’s poems for the month of April do just that. 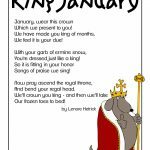 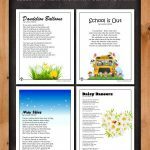 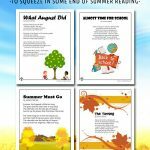 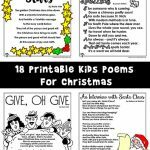 Printable kid’s poems are great for reading practice, reciting practice, and for teaching students about rhyming and different poetic structures. 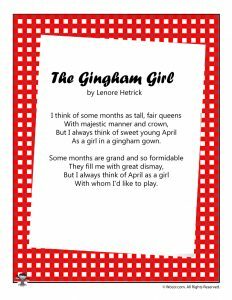 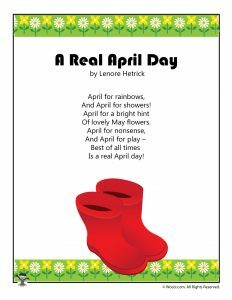 Be sure to check out our separate collection of poems for April Fool’s Day and for spring, too!